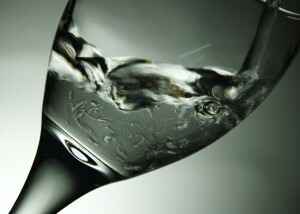 We all know we should “drink plenty of water” but how much is enough and why? What happens if we don’t drink enough water? The ingestion of water nourishes our cells. Without an ample ongoing intake of water our cells become dehydrated, malfunction, and eventually die resulting initially in bodily discomfort and eventually in pain or disease. New cells are created when an existing cell divides itself into two cells. Each new cell requires that 75% or more of its volume be of water. If there isn’t enough water available cells can’t make new cells which at a minimum, causes premature aging. The cell membrane is a complex mechanism (involving a “moat-like” layer of water within it) that is responsible for allowing nutrients into the cell and excreting wastes out from it. The functioning of a cell’s membrane is completely dependent on the presence of water so if you’re not drinking enough water your cells can become malnourished and toxic. Proteins (peptides strung together) and enzymes (a type of protein) regulate all functions within the body. In order to do so they require a minimum level of hydration. The transport system which delivers neurotransmitters to nerve endings can’t function without adequate water resulting in symptoms ranging from lack of articulate speech to not appropriately recognizing the warning of pain signals. Our lumbar discs are de-prioritized early in the water-rationing process therefore an ongoing lack of adequate water intake can exacerbate back pain. In prolonged dehydration our brain cells shrink and die. Vasopressin is a hormone synthesized from peptides in the hypothalamus and stored in the pituitary which is released into both the bloodstream and the brain in order to regulate the flow of water according to a rationing and distribution system which prioritizes the most important bodily functions. Dehydration releases additional vasopressin however alcohol, even amidst dehydration, suppresses vasopressin’s release from the pituitary gland. This prevents the body from being as strategic as it otherwise could be in how it regulates and retains its water such that crucial cells, like those of the brain, heart, and lungs, receive less water amidst dehydration than they would if the dehydration were not alcohol induced. For each glass of alcohol that you drink chase it with a glass of water. Retaining excess sodium is one of the last resorts the body uses to hang on to its water. Hypertension may follow. Histamine is a neurotransmitter which assists in the regulation and distribution of water within the body. It also is involved in the body’s defense systems against bacteria, viruses, chemicals, and other foreign agents, however when too much histamine is released these defense systems can become hyper-vigilant and asthma and allergies result. Lack of water concentrates the blood and when concentrated blood reaches the lungs local histamine is produced (asthmatics have an increased level of histamine within their lung tissue).The result can be bronchial constriction. When dehydrated the body releases an exaggerated amount of histamine however animal studies have shown that histamine production can normalize after just four weeks of increased daily water intake. The pancreas is responsible for the production of an alkalizing bicarbonate-containing watery liquid which is emptied into the duodenum to neutralize acid coming from the stomach. The pancreas prioritizes this bicarbonate over making and secreting insulin if there is a lack of available water to make and secrete enough of both. When insulin secretion is inhibited many bodily functions are disrupted since most cells are dependent upon insulin. Chronic dehydration can result in both indigestion and a propensity for diabetes. Water is required for genomic processes involving D.N.A. and R.N.A., and when there is dehydration our genetic materials can become damaged. The result is the “coding” done by these nucleic acids can be incorrect resulting in mutations that are inferior. To compound matters, dehydration causes a severe depletion of the amino acid tryptophan which is what the body uses to correct any detectable errors in the D.N.A. replication process making tryptophan essential in the prevention of cancer. Our thirst sensation decreases as we age and/or if we have an ongoing history of not being fully and consistently hydrated. Some confuse their feeling of thirst for hunger, resulting in weight gain since the body can’t effectively process or utilize food when in a dehydrated state. Over time, as we drink an appropriate amount of water, our thirst sensation will restore itself. If any of the above has motivated you to ensure you ingest enough water, you can do so by drinking at least half of your body weight in ounces each day. Since water neutralizes your digestive juices, be sure to space your water consumption apart from food. I recommend not ingesting more than 6 ounces of liquid up to 15 minutes prior to and up to an hour after, a meal. Make it easy to drink enough water by filling up a few water containers and have them with you during your day. Over time you may find that you feel better, that your thinking is clearer, and that you have more energy than you used to.